Today’s homify 360° comes to us courtesy of Johannesburg-based professionals Essar Design, who were given an existing one-level house with the task of styling it up in a most modern way. The end result? 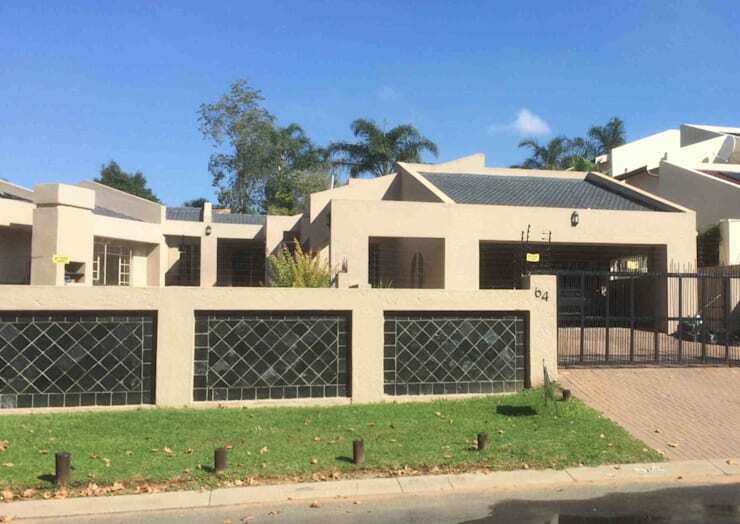 The experts extended the house by adding first-floor accommodation which consisted of a main bedroom, an en-suite bathroom, a walk-in dressing room, a kid’s bedroom and a small lounge. Shall we see what the planned new façade looks like? The new owner of the house requested a change in the traditional look of the existing house. To please their client, the professionals proposed a slick and modern look to match up with his preferences and lifestyle. 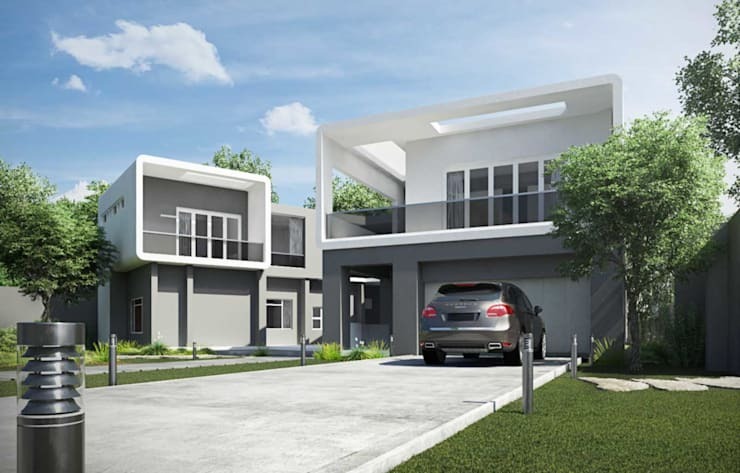 Here we see a 3D rendering of the new house’s front façade – quite the style-up, wouldn’t you agree? 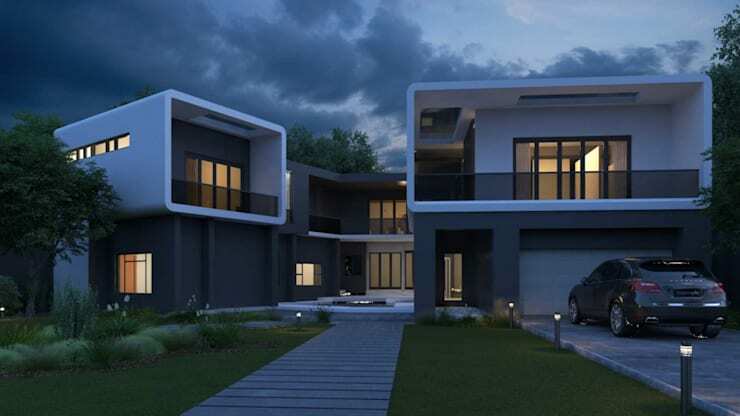 Even a darkened setting can’t minimise the sleek new style that is enjoyed by the façade, especially not when the interior lighting fixtures cause the entire structure (post face-lift design) to glow like a modern ember from inside. But just what did the house look like before the transformation? It was quite a traditional build with a look that, although full of potential, didn’t really stand out in the area. The pre-look of the house was full of various poorly-planned spaces, which caused the new owner to approach Essar Design. After all, if you’re going to go big social- and entertainment-wise, you had better have the right space and the right look. Kudos to the professionals in charge for delivering both! 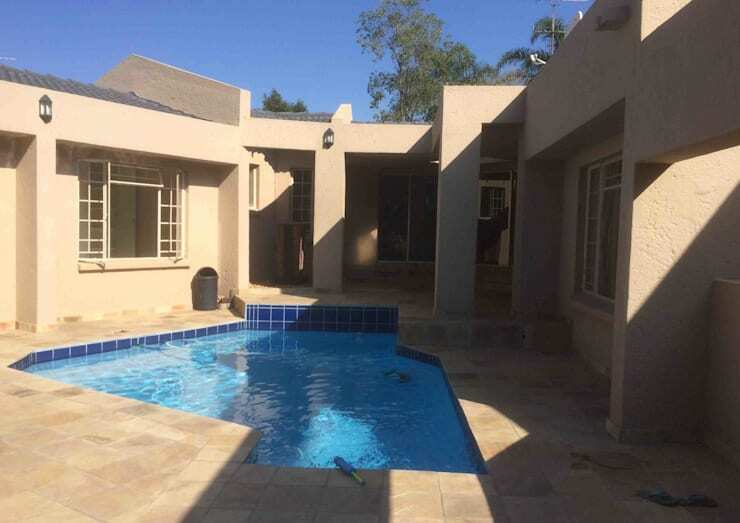 For another magnificent makeover, have a look at A Sandton renovation you simply have to see. We love it, but want to hear what YOU think of this makeover.